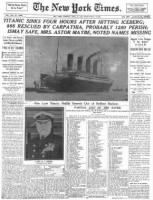 12:00 Noon: The Titanic Leaves Southampton, England on its maiden voyage. 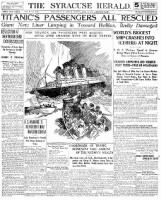 07:00 pm: The Titanic stops at Cherbourg, France. 09:00 pm: The Titanic leaves Cherbourg and sets sail to Queenstown (currently known as Cobh), Ireland.